We, Kirk Rickman and Victoria Carter, at TwoMoveYou, put our money where our mouth is. We know that sometimes buyers could get cold feet when purchasing a home. We are here to help. Not only do we walk you step by step through the entire home buying process, we make sure that you know exactly what you are getting into. However, as a buyer, you may really like to know that if you don't LOVE the home that you buy with TwoMoveYou within our agreed upon timeframe (up to 2 years), the TwoMoveYou team will BUY YOUR HOUSE BACK! While every company will promise to sell your home, the reality of the market today is that not many others are agreeing to buy it back! Fill out the the contact form below and the TwoMoveYou team will call you back. *You will be contacted by the TwoMoveYou team shortly. What is the Real Estate "Catch 22?" We’ve all heard the old saying about being caught between a rock and a hard place. Well, unfortunately, that’s where most homeowners find themselves when they decide to move from one home to another. The Real Estate Catch 22 happens for example, if you buy before selling, you could run the risk of owning two homes. Or, just as bad, if you sell first, you could end up homeless. That’s what is known as the Real Estate Catch 22, and for thousands of homeowners, it’s an extremely stressful position they find themselves in. If you buy before selling, you could run the risk of owning two homes. TwoMoveYou offers specialized programs that can eliminate the stress and worry associated with selling and buying another home. We offer a new and innovative program that actually guarantees the sale of your home and takes away all of the worry and stress associated with selling and buying another home. 1. TwoMoveYou will prepare a total market analysis including a computerized print-out of all comparable home sales and listings in your area. 2. With this information you and TwoMoveYou can determine a market value for your home. 3. This establishes your guaranteed price and list price which you will receive up front (in writing) before your home is marketed. 4. You are doubly protected because you know that your home will sell for the guaranteed price. 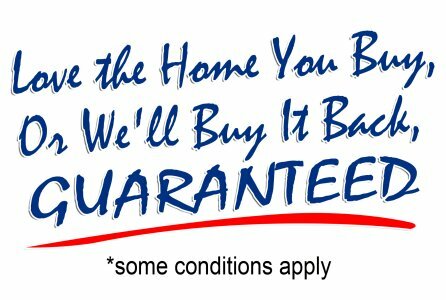 However if you receive an offer from an outside buyer for more than the guarantee price you get the higher offer. 5. You can confidently look for your next home and immediately place a firm cash offer (not a conditional one) when you find a home you like because you know the minimum that your home will sell for and when you can expect to receive the money from it’s sale. 6. This service eliminates the usual stress and worry (the emotional roller coaster ride) of whether to buy first or sell first so you can avoid the risk of getting stuck with two homes or no home at all. Please complete the form above for more information or to schedule your consultation with us. TWOMOVEYOU offers a number of GUARANTEES that suit YOU!